Hi, I'm Nurul Aslina Bt Che Ani or people known me as a Cik Lin. I was a fresh graduated from PICOMS. 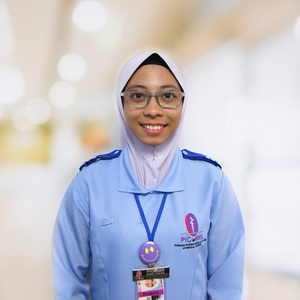 I will perform nursing care if needed such as feeding, sponging, wound dressing and tracheostomy suction with aseptic technique.